“Cities were always the cradles of innovation. Suburbanization was a deviation on the course of history," so author Richard Florida was quoted in a 2014 Boston Globe story entitled, "For tech job seekers, it’s all about the city." As the article's title would suggest, reporter Michael Farrell was exploring the rebirth on central cities, specifically Kendall Square in Cambridge and downtown Boston, as the economic drivers of a region. The company I work for moved from Davis Square to Lexington/Bedford. We need a fair amount of lab and prototyping space so the move makes sense. However, the core of what we do is software/web based. For that, we need solid developers who understand web services. I'm of the opinion that the move is making it more difficult for us to attract web developer talent. However, I may be letting my personal bias cloud my perception. (I have a desk in Lexington but I work most days from Workbar Cambridge.) Is anyone aware of any research related to work location preferences among developers in the region? Or, perhaps something that shows preferences by age and/or education? This question sparked a conversation that could only be called an urban planner’s dream. The interrelated issues of location, transportation, work shed, employment base and demographic distribution all appeared in here. They all ask what makes cities so attractive to today’s educated class? Speaker 2: Just a quick thought: to get to Lexington/Bedford, you've got to have a car. Might that be an issue for any current employees and/or future candidates? Speaker 3: I know current and former coworkers who were especially proud of the fact that they did not own a car in Mass. (and all expenses required). One coworker never bothered to learn how to drive... ! Speaker 4: I have a friend who worked for a Natick-based company but offers a shuttle from certain Boston locations (South Station, Back Bay, etc.). Perhaps that's a middle ground? Speaker 5: I worked at a company based in Lexington and the biggest complaint was the difficult of getting there. Via public transit you have to go to Alewife then take local buses which are slow and the schedules are inconsistent. Speaker 6: The biggest difference you'll see is the age/developmental stage of the developers you get. People that live out in the burbs will be older, more established and more expensive. The younger, city-based devs won't want to ride a bus all the way out there. Speaker 8: That will of course change in about 10 years where these younger professionals are starting families and can't afford the same cities, but a headache for those firms that need to plan 10 years out or more to time lease signing, not getting too entrenched in locations they are in, etc. Interestingly, I just visited a place that is trying to capture this genie in a bottle. 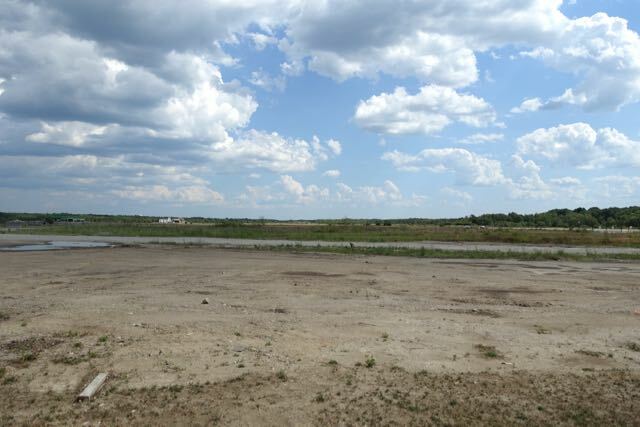 Southfield, formerly Naval Air Station South Weymouth, looks like a land that humans forgot. Barren, vacant, unloved and unlived in, it's waiting for its second coming. 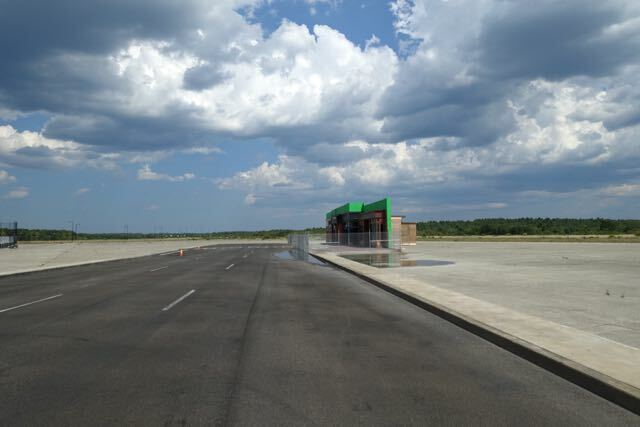 It even has its own Road to Nowhere, the Bill Delahunt Parkway. Southfield is trying to reinvent itself. After half a century as a military base, it wants to see all of these vacant parcels redeveloped for housing and for commercial activity. 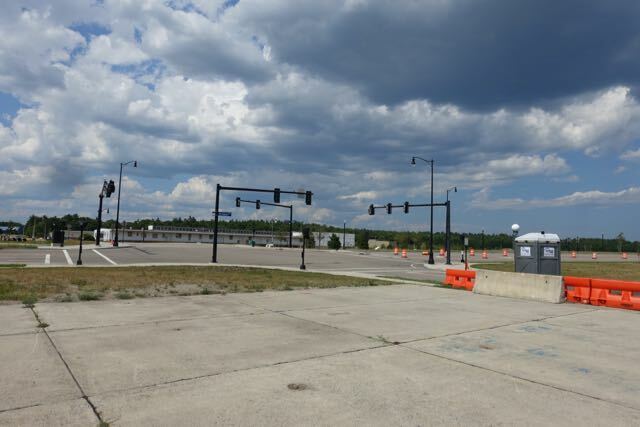 Subdivided between the three towns of Weymouth, Rockland and Abington, the 1,400 acre navy facility was finally closed under the Base Realignment and Closures Commission in 1997. Since then, there have been multiple attempts to get some something to take off, but with only limited success. Still, necessity breeds invention and the abandoned landing strips have recently been repurposed as Hollywood backlot for a movie about the Boston Marathon bombing. 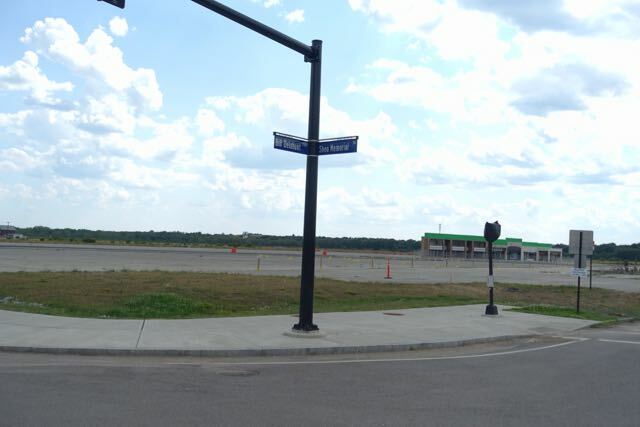 Will Southfield transform into something more than a bunch of old runways? Well, it depends. Of the many challenges it faces, having three towns involved doesn't portend good things. Inter-municipal cooperation is notoriously hard in Massachusetts and for all the efforts to get around that issue by creating a redevelopment authority, a history of past flops increases skepticism of any new plans. There is, of course, the issue of its location. A short 20 miles as the crow flies from downtown Boston, it can be a solid 90 minutes one-way in traffic. That amounts to 15 hours a week. Given the millennial preference for urban environments in which to live, work and play, it's not clear that locating a business here makes a whole lot of sense, especially with no "there" there. Even if businesses do decide that Southfield works for them on the ledger sheet, workers may not choose to come and fill those jobs. First, I want to thank everyone who took the time to reply. I believe I've replied to everyone who responded directly to me but not the list. If not, I apologize and I hope you'll forgive the oversight. Anecdotal: Someone replied directly to me with a personal story. As I haven't received permission I won't share the details. The short version, the company they worked for was having difficulty hiring tech people at their suburban office location. They moved the tech crew to a "Project" office in Boston and saw an almost 100% acceptance rate when they made a job offer. The only thing that changed was the location. Recruiters: Someone from Hired sent me a very interesting presentation which I hope they will share with the list. As part of their process, they ask candidates where they're interested in working. Nearly every candidate, 97%, specified Boston. Cambridge/Somerville was next with 60%. The various suburbs were each down in the 40% range. Another fact I found interesting is most of the candidates were much more interested in working at A or B round, funded startups rather than major corporations. General thoughts: Commute Many people mentioned that they or people they new were turned off by the suburbs because they didn't like to drive or didn't own cars. While some companies offer shuttles from locations like the Alewife MBTA station. most people didn't find this a convenient option. Oh yes, and as of last month, Southfield is no longer called Southfield. It now has a new name, Union Point, undoubtedly in an effort to rebrand away a decade's worth of false starts under Starwood Land Ventures and before that under the LNR Development Corporation. Will the new name help? 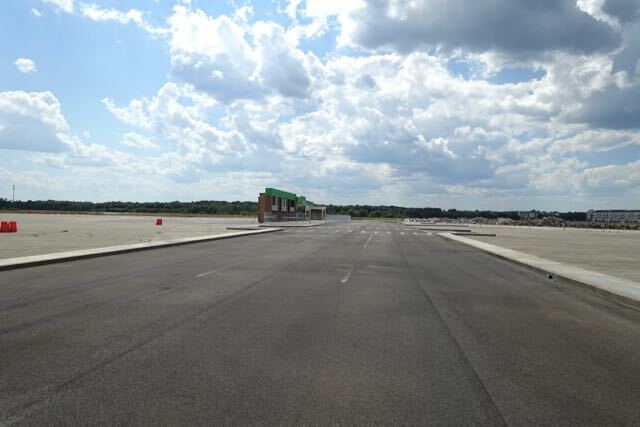 "Who knows if Union Point is going to stick anymore than Southfield did," said Eric Miller, president of the Southfield Neighborhood Association. Many people apparently still just refer to the land as "the base," which may be a good indicator of future trends. All of this should serve as a wake up call to the Southfield, I mean Union Point, developers. Still, the oddness that suburban America can produce is a trip and a trip down there is a long strange one indeed. So, if you find yourself standing at the corner of Delahunt and Shea, well, you may ask yourself (just as David Byrne of the Talking Heads did over three decades ago) ... How did I get here?